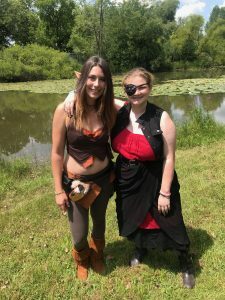 had lots of fun adventures from eating their way through the Chinese restaurants in the DeKalb area to dressing up and going to the Bristol Renaissance Faire in Kenosha, WI. 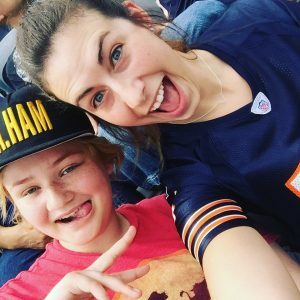 Most recently, through a very generous donation to FSA, they were able to attend a Bears game at Soldier Field. Anna says that it is so rewarding to give back to the community that has been so supportive and welcoming. She is glad to be a safe resource for her mentee; to talk and work with her mentee through problems that come along with being in high school. Programs like youth mentoring and lunch buddies helps to make our community stronger together. 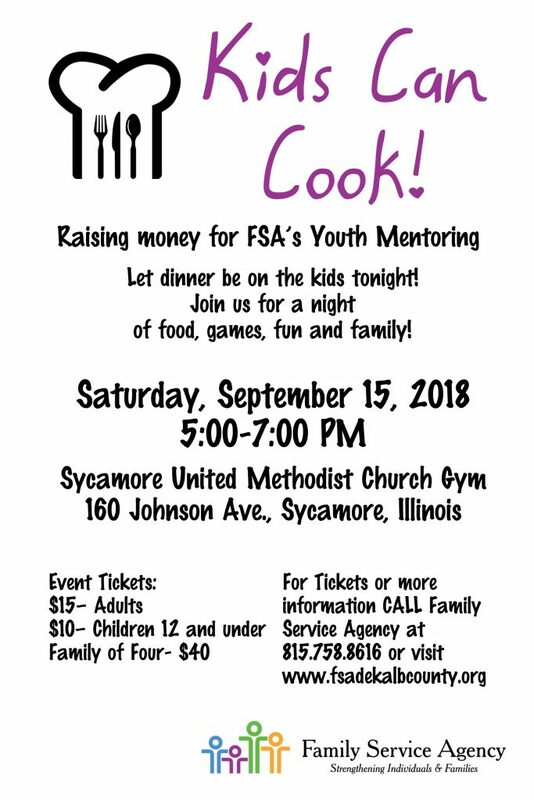 Please consider donating or attending Kids Can Cook! on September 15th at the the Sycamore United Methodists Church Gym 160 Johnson Ave. Sycamore, IL. For tickets or more information call 815-758-8618 or visit www.fsadekalbcounty.org. Anna and her mentee will be part of the cooking contest and are excited to share what they are making! The event is casual fun for the whole family and is super tasty. There will be games and activities for the whole family to play! Come hungry there will be lots of great food made by youth chiefs of the community. Spots still available for youth chiefs to compete: call 815-758-8618! This entry was posted in Publication, Personal Training, Creative in the Community and tagged community, anna coates, proudlydekalb, family service agency dekalb, youth mentor, kids can cook. Bookmark the permalink.